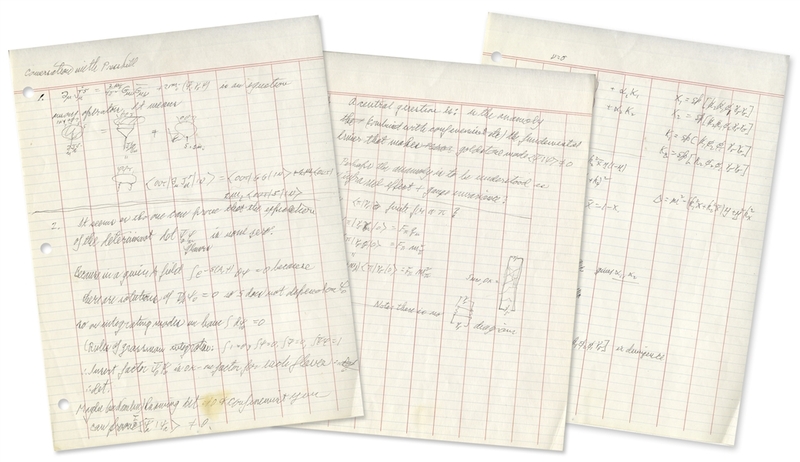 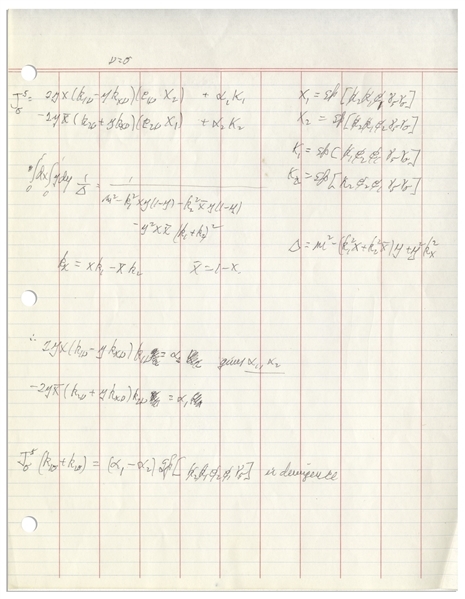 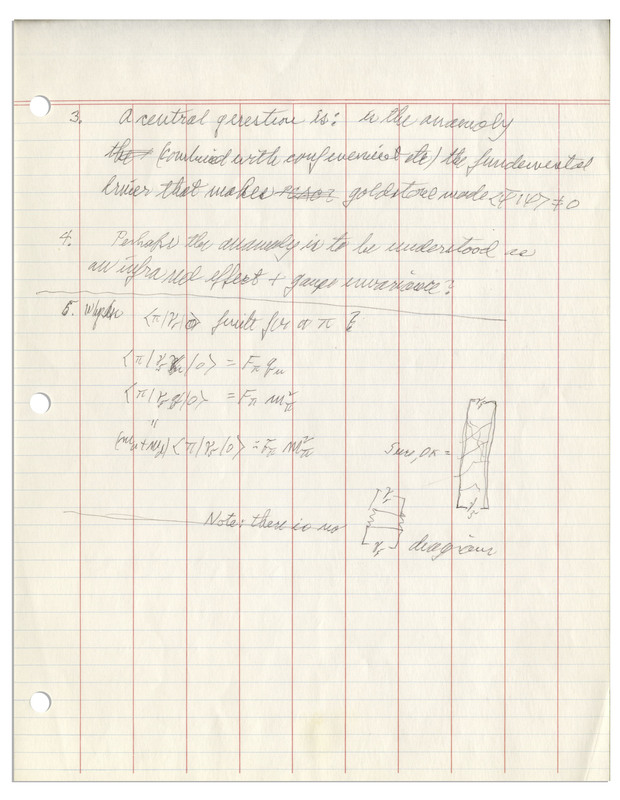 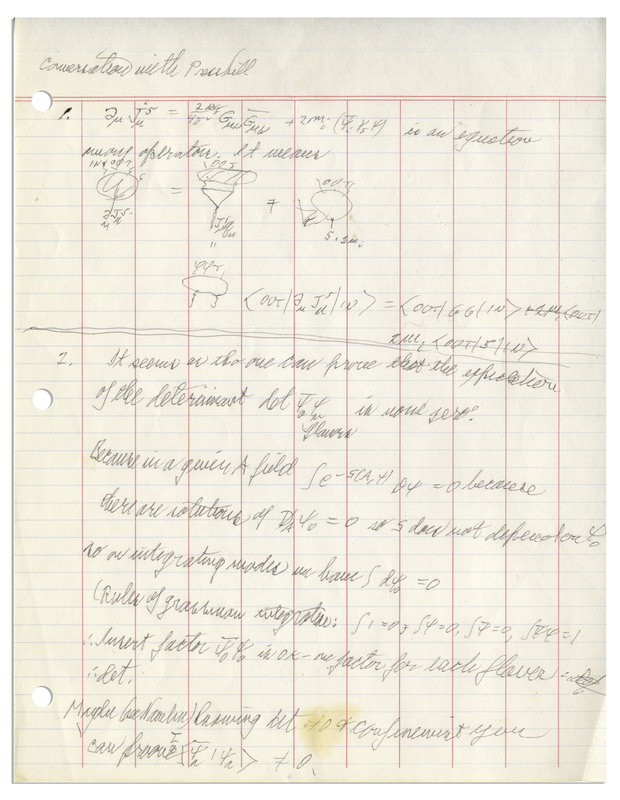 Richard Feynman autograph manuscript on theoretical physics, circa 1983-1984. Three page document is entitled ''Conversation with Preskill'', referencing physicist John Preskill, who in 1983 joined the Caltech faculty where he is now the Director of the Institute for Quantum Information, and the Richard P. Feynman Professor of Theoretical Physics. 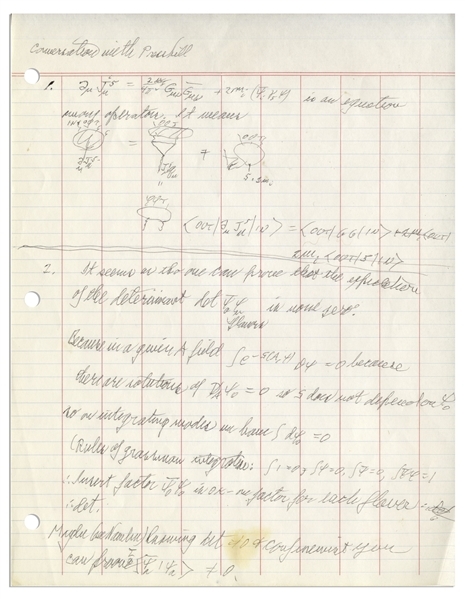 Composed in black ink on grid-ruled hole-punched paper, Feynman takes detailed notes with dozens of handwritten equations, summarizing the conversation in five main points. 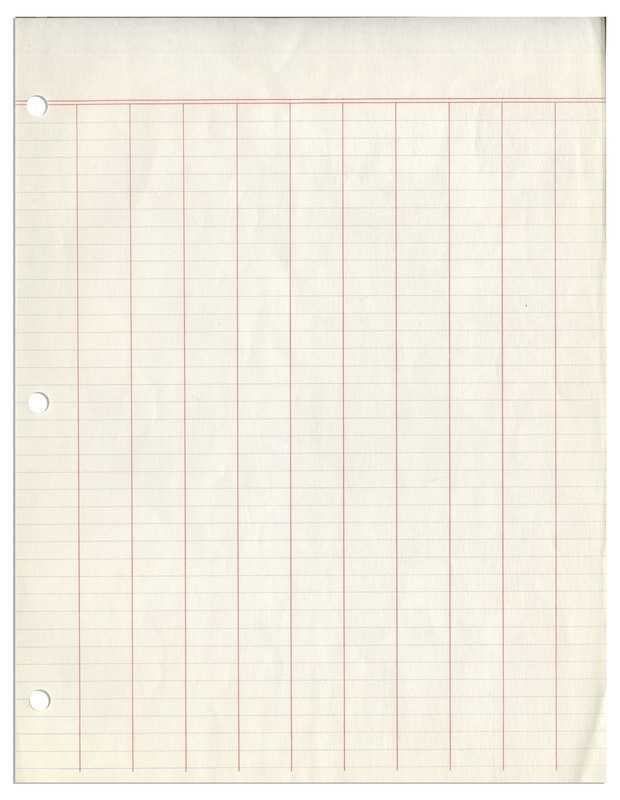 Five sheets included, with writing on three separate sheets and with two blank sheets. Each measures 8.5'' x 11''. 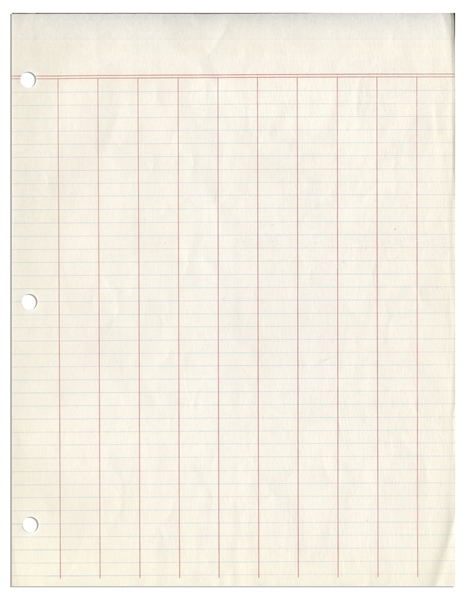 Spot of discoloration to bottom of one page and light creasing, overall near fine condition.